Fire baskets for dogs are to be combined with a set of fire dogs to suit your desired style. 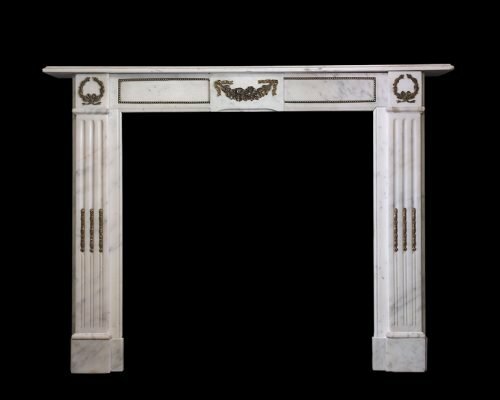 A wide choice of contemporary and traditional designs are available. 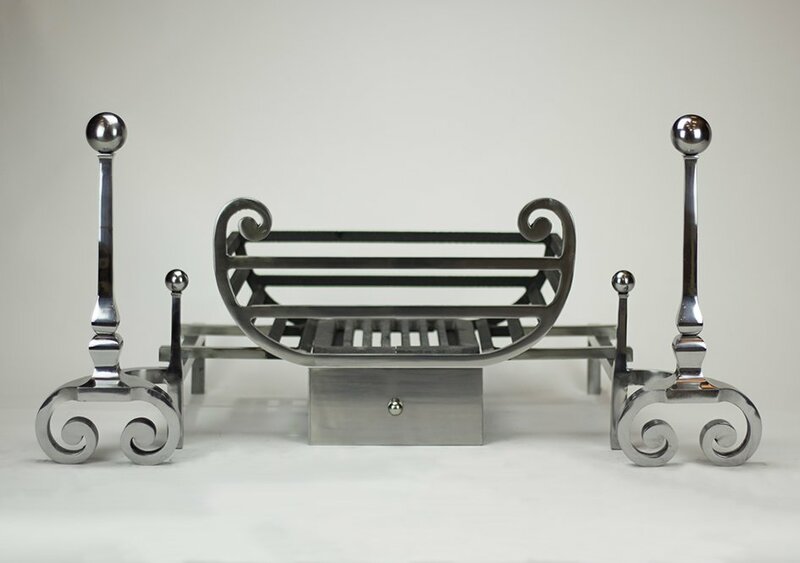 Shown here with the Newton Andirons. Fire dogs are not included and must be added separately. Available in 18″ and 22″ widths. 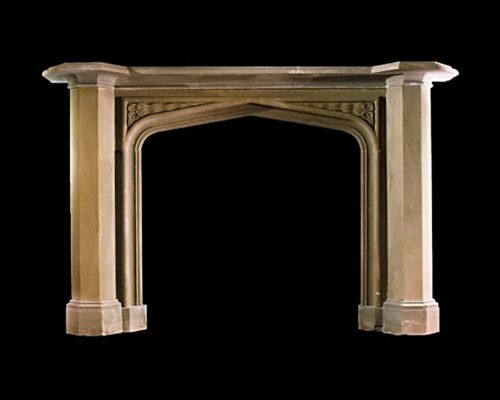 A Grit stone chimneypeice from the Regency period in the Gothic manner with carved spandrels and plain columns on block feet. 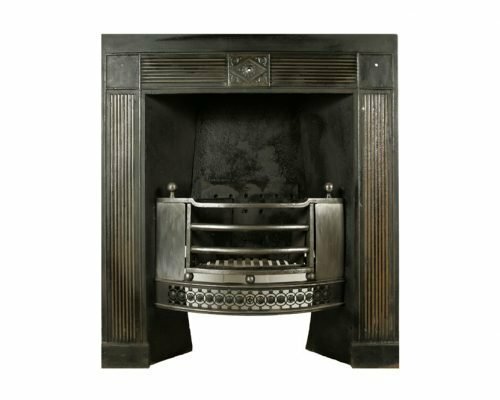 An early 19th century Regency register grate in cast iron and steel. Statuary marble early 19th c.